When Netflix binge-watching, Hulu-hopping or TV-surfing, we often find unforgettable character matches. Sometimes they’re romances that make us swoon. Other times, the combos are platonic — and even more memorable. Here are some roommates sure to go down in television history. There’s truly no good place to begin with these two. 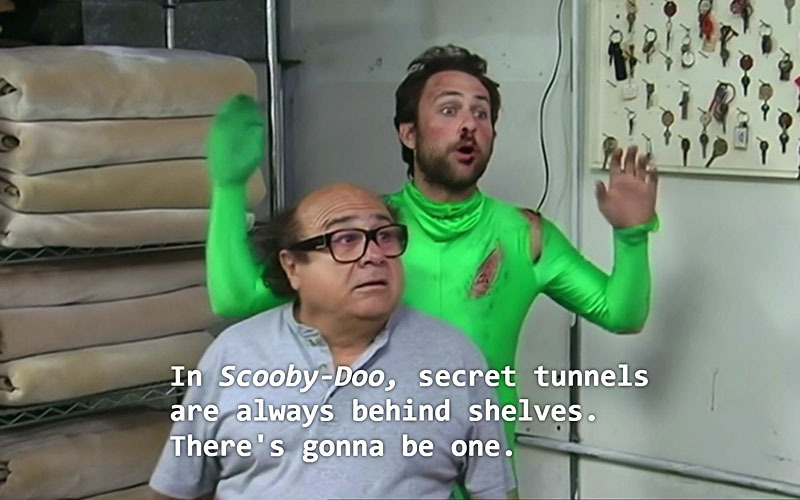 At times, they’re using Frank’s toe knife to get “scum” out of their toenails, and at other times, they’re huffing glue while eating cat food. 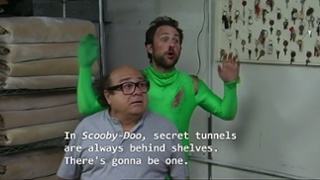 With the combination of Charlie (who’s illiterate), Frank (who has an endless supply of money), and their never-ending schemes, there was no way that this duo wouldn’t make the list of most memorable roommates. Sometimes we find friends that understand us like no one else can. In Elena, Bonnie and Caroline’s case, there’s an extra layer to the friendship: none of them are human. If you’re a vampire or a witch seeking a roommate, chances are you’re looking for other supernatural buddies to understand and share your unique challenges. In addition to a certain other-worldliness, these three share a bond that started in childhood and a love that overcomes all of their wild adventures. We’ve all had friends that we felt we were losing touch with once they entered a new relationship. Ted and Marshall give us new hope that romance, whether old or new, can’t deter true friendship. After meeting their first year of college, these roommates remain loyal to each other through a whirlwind of life-changing events (a Mother and other failed romances included). 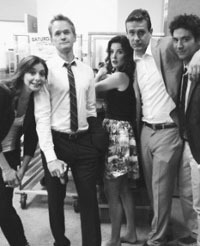 Even if Ted is the “Third Musketeer” to Marshall’s marriage, they manage to be a part of every major event in one another’s lives. Life circumstances can lead to friendships that seem a bit, well, unlikely. While Caroline was raised by a multi-millionaire, Max was raised in poverty. Yet, in their mid-20s, these two find themselves living together, working at the same diner and striving to open one a cupcake shop of their own one day, as partners. With such different lifestyles, their squabbles are certainly understandable. The key to their relationship (and success as roommates) is the respect and love that goes beyond their different backgrounds. 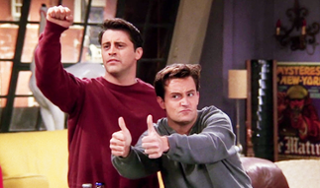 There may not be another duo in television history more suited to live together than Chandler and Joey. When their kitchen table broke, they had no problem deciding to purchase a Foosball table and eat over the sink instead. (How many roommates would agree to that?) Even with a few mishaps in between (like a pet duck, a stolen girlfriend and a burglary triggered by Joey’s homemade cabinetry — hey, it’s not a classic sitcom without some misadventures), these roommates proved to be the best of buddies again and again. Sometimes the best roommate is one just like you, and other times you need your polar opposite. Sure, Chloe usually tries to get her roommates to move out right after paying her their first month’s rent, but June proved to be different. After a while, Chloe finds new schemes to drag June into rather than constantly trying to behave outrageously enough that June will move out. If that’s not a great roommate, well … maybe it’s not. But it’s definitely memorable. If you think living with one person is hard, imagine living with three. In New Girl, they somehow make it not only work, but thrive. Jess provides endless advice while Nick, Schmidt and Winston provide endless entertainment and laughter. (And it takes the quartet to understand the rules to the drinking game they invented.) Sure, they all get a bit frustrated … but what roomie doesn’t leave you annoyed at some point? In the end, they’re a family that never fails to support one another.